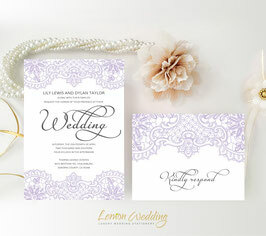 Let your guests know when and where you’ll say “I do” with our Light Purple Wedding Invitations. 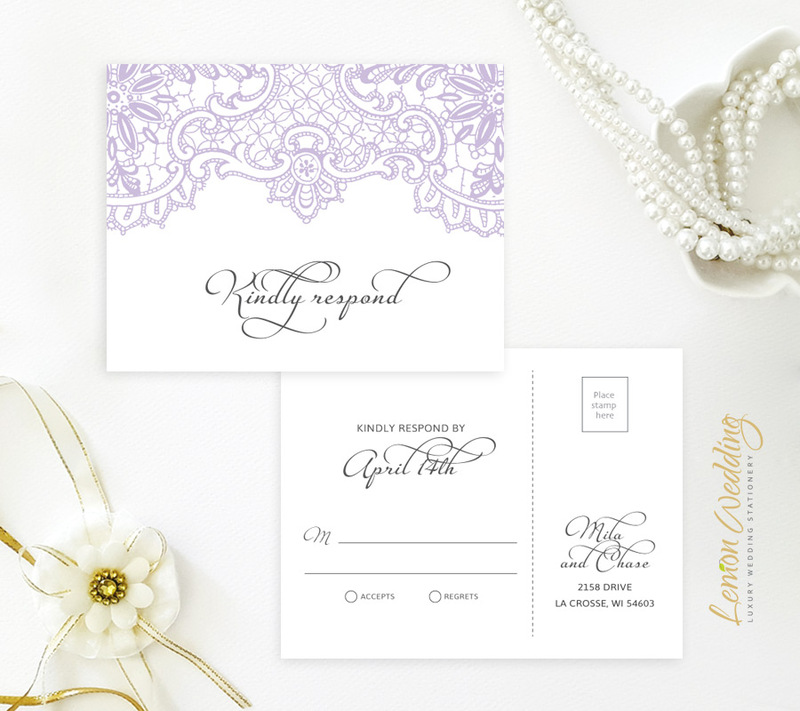 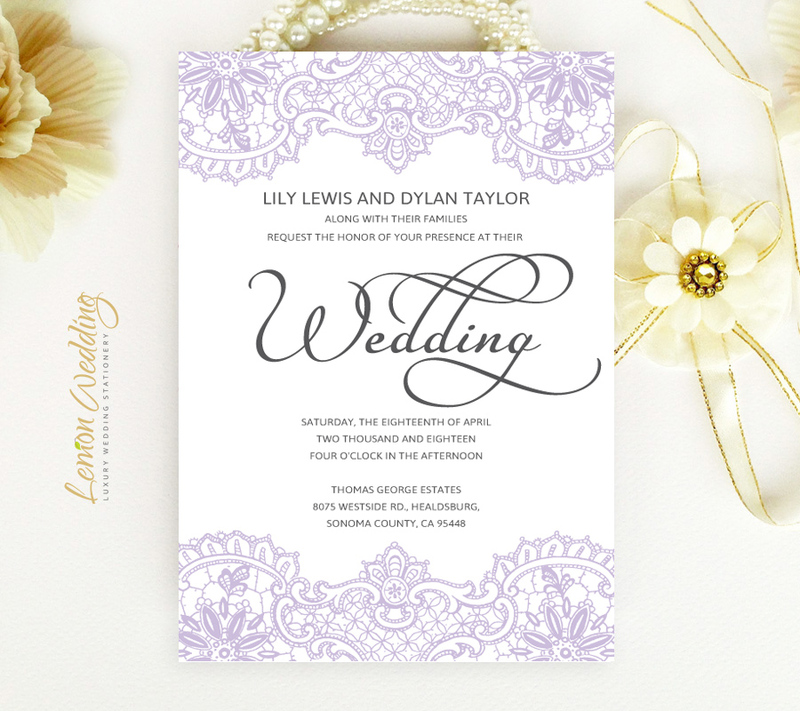 Our elegant wedding invites are decorated with a refined lace design in soft purple and a stunning calligraphy style font. This wedding set has exactly what you need, including invites and RSVP postcards printed on premium paper.